However Improbable: "No, Chewie. I don't want you to rip her apart. Either I'm beginning to like her, or I'm going to kill her myself." "No, Chewie. I don't want you to rip her apart. Either I'm beginning to like her, or I'm going to kill her myself." First, I have only three chapters left to edit. And I will not be posting anymore until they are done, so if I'm not around tomorrow that is why. Second, this post is likely to be filled with fan girliness and an overload of geekiness. You've been warned. Sometimes a character emerges from a story and becomes something no one ever saw coming. In some cases he starts out as just an annoying human being you hope will not be in the next story - and yet by the end of it all you wish you could invite him over for tea and a high speed chase through the streets of New York. I think the perfect example of this is Agent Phil Coulson. When he first appears in Iron Man he has all the makings for being annoying, one of those characters you want to throw your shoe at. First off, he's from the government, (in a manner of speaking.) That screams annoying. Second, he's always bugging Tony and Pepper. "Tell me what happened over there!" When he first came on I half thought he'd turn out to be a bad guy, or was just an overly nosy reporter who worked for some company with a ridiculously long name. It wasn't until Pepper escaped from Jediah Stone and ran into Coulson down stairs and forced him to walk with her, forced might be the wrong word, that I began to like him. And by the end, I thought he was pretty cool. 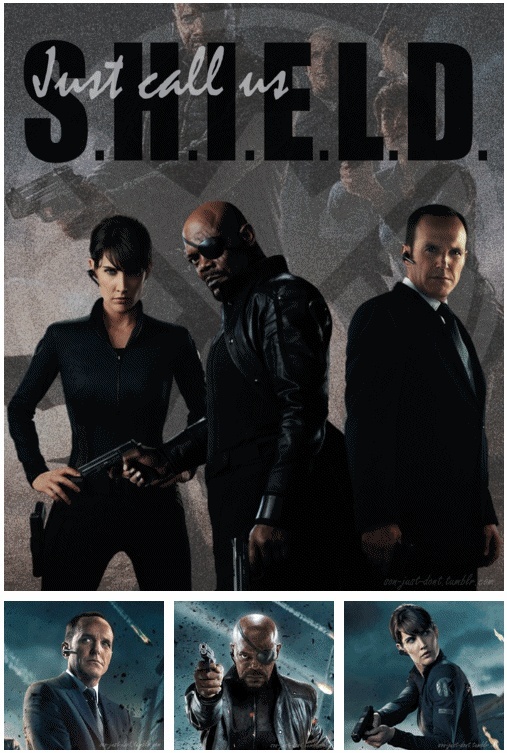 Coulson is one of those sidekick characters, but not the typical one. He's content to stay in the background. He comes off as unassuming. A short, little man who even when he gets mad keeps his cool. Such as in Iron Man 2 when he matter of factly threatens Tony. "I will tazor you and let you drool into the carpet while I watch Super Nanny." He appears to have no emotions whatsoever. He's the kind of man, as Maxwell Smart would put it, with the kind of face you forget. But I cannot help but think that Coulson trained himself to be this way. That he worked hard to become unassuming so he could catch people off their guard all the time. But that is just a theory. Over the course of the movies, we get the chance to know Coulson better, a lot better. And we realize he has caught us off guard too. After all, he wasn't the most remembered character out of the Iron Man movies. It wasn't until the later movies that we began to go, "Oh, its him again." So that by the time the Avengers came around we were expecting him, but probably just because we know what he was capable of then. Or some of it. "I couldn't decide if I wanted powered or chocolate." Nothing ever seems to faze him, not even having his base fall down into a hole in the ground. He's the kind of man who never panics under pressure and always knows what to do. It was he who helped some of the men escape the base when it was falling in, putting more value in their lives then Fury's important - whatever was in those cases. Because this makes me snicker every single time. Also, I think Coulson should get points for coolness because of the fact he owns a red sports car named Lola. Don't forget, these posts are being held as part of the release of my newest book, A Stretch of Loyalty. 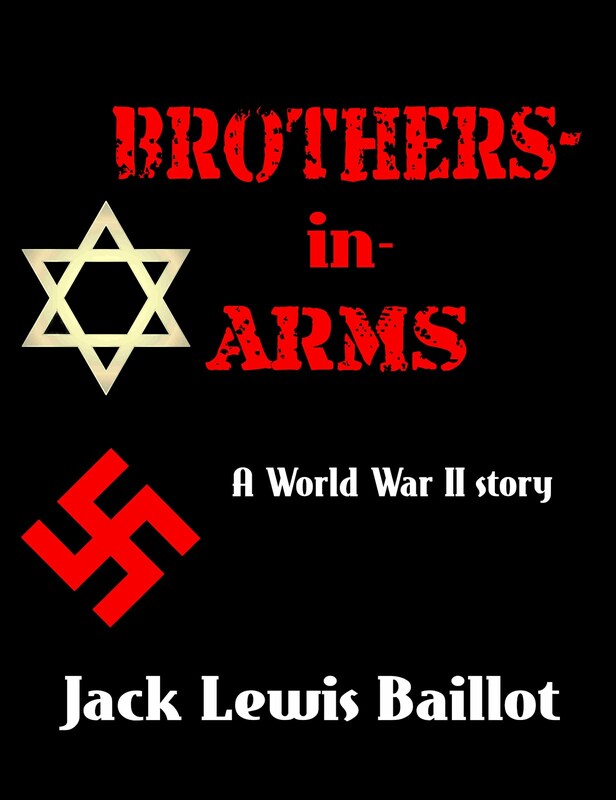 There will be a giveaway for one, free, signed copy. If you want to enter the giveaway just do your own character post and leave the link in one of my comment boxes. The winner will be drawn June 14th, the book's release date. Quote is from Star Wars, Han's first thoughts on his future wife. 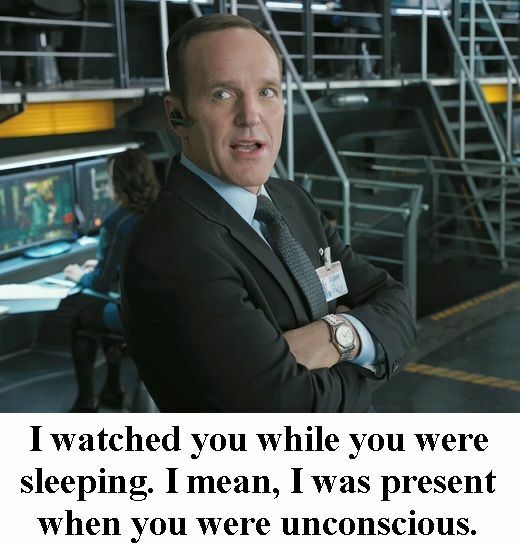 I LOVE COULSON! You probably knew that, though. It's funny, I never thought about him as showing little emotion. I always thought he seemed kind of vulnerable and sensitive. Maybe that's just his face, which I think is sweet and adorable. I'd think of him as a little kid except he's so calm all the time. AND SHIELD TV SHOW AUUUGHHH YES BEST THING EVER!!! I was having a conversation with a friend and we decided that SHIELD and UNIT should work together. Or Torchwood. Because they both have experience with aliens...can you imagine Coulson as the Doctor's companion? That would be so awesome! PS I hope you've met the Brigadier. I can't get over how awesome he is. He's kind of like Coulson, only more...flamboyant. Loving the thoughts on sidekicks! I'll have a character post coming next week to join your challenge/giveaway! I just recently finally watched the Ironman movies (all three in one weekend lol) and I love this guy. He is going to be awesome in SHIELD. Obviously he's not dead! Long live Coulson! Coulson was so relatable in the Avengers, especially for to a Captain American fan-boy like myself. When he died, I was floored, even though he comes back, it will be one of the most shocking moments I have ever seen in the theaters. Hands-down best original character in a comic book film! Normally I am not a fan of characters not in the comics being adding to the films, but Coulson and Harley Quinn are the few exceptions to the rule. Nice Doctor Who reference at the end there. Donna and Ten are about tied with Elven and Amy/Rory, as my second favorite, maybe a slight edge to Amy/Rory, because they had more episodes, but very close between them. Also thank you for the long and thoughtful comments. I was only recently introduced to the Avengers by my brother. I saw Thor first, and I liked Agent Coulson in that. Your interesting post has made want to watch Iron Man and the Avengers movie, neither of which I have seen yet. I am not a huge superheroes fan, but I actually like these movies. Oh, Jack ~ I am so glad you did Coulson! I think he just might be my favourite re-occurring character of all time. I liked him as soon as I saw him in Iron Man, and was afraid they were going to make him a bad guy, because he looked so harmless. And then, I was afraid they were going to kill him off on me. His appearance in any of the Avenger films was always rather a highlight for me, and really missed him in Iron Man 3. He is a brilliant character. He looks so ordinary. He sort of disappears into the background, but nothing gets by him. He is very clever, very efficient, very committed, but he is so modest and unassuming, most people forget how astonishingly competent he really is. And I love the fact that the world can literally be falling apart all around him, and there he is, tidy, and calm as ever. He is the most unflappable man, but also ardently idealistic, and I love that endearing touch of hero-worship he had for Steve Rogers... and A Funny Thing Happened on the Way to Thor's Hammer is *hilarious*. I'm glad you enjoyed Corpus Christi carol. I have a weakness for that sort pared-down music, with minimal accompaniment, particularly if it is as haunting as that one. And if the singer had a nice accent, that is always a plus too. I am also glad that you enjoyed the story. I enjoy writing, and I try to write well, but I find it very hard to share my stories once I have written them. There's just a little too much of me gets into them, so I am self-conscious about them when they're done. ^^ My first entry for your give-away! I saw that you had been visiting some blogs I frequent, so I thought I'm come check out yours. LITTLE DID I KNOW YOU WERE SOME SORT OF AMAZING GENIUS PUBLISHED AUTHOR!!! Gosh, well. My main reason for tiptoeing about the wed is that few people read my blog anymore, and now that I've FINALLY written another short story, I'd really like some input. Especially now that I know you're a PUBLISHED AUTHOR. 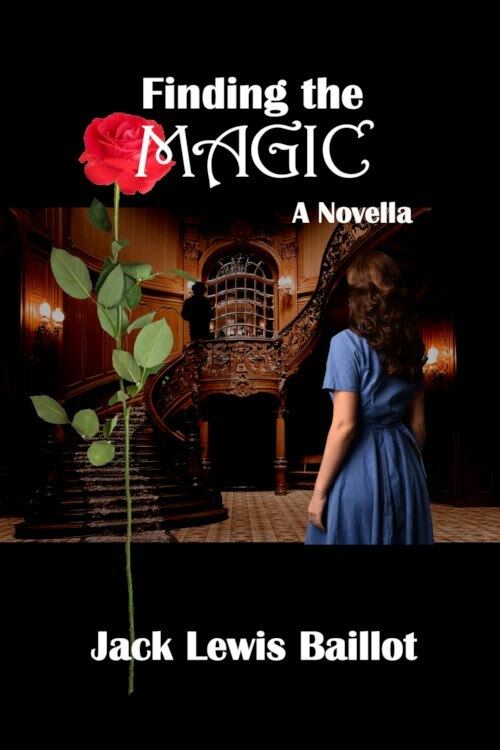 So could you, pretty please take some time out of your BEING AWESOME and take a gander at my story? And perhaps tell me what you think? It would be incredibly appreciated! OH MY GOODNESS! I got your post about Doctor Who. I am so upset Eleven is leaving. I was so happy at the idea of him and Clara sharing a whole season together, and then BOOM! that little catastrophe of his imminent departure hit me, and I was like, "NO, I must mope. Leave me to my wallowing." The first type is present from birth while the second type is not, but starts to appear and proliferate as the years pass. Skin tags can affect you and anybody else at any age and irrespective of your skin type. Coulson lives! 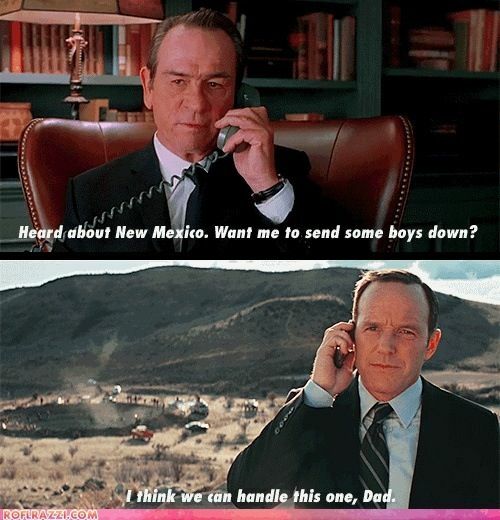 *Fist pump* I really love Coulson. It took me a while, and I didn't realize how attached I became to Coulson until Loki shot him. Then I was like, "But I love Coulson!"